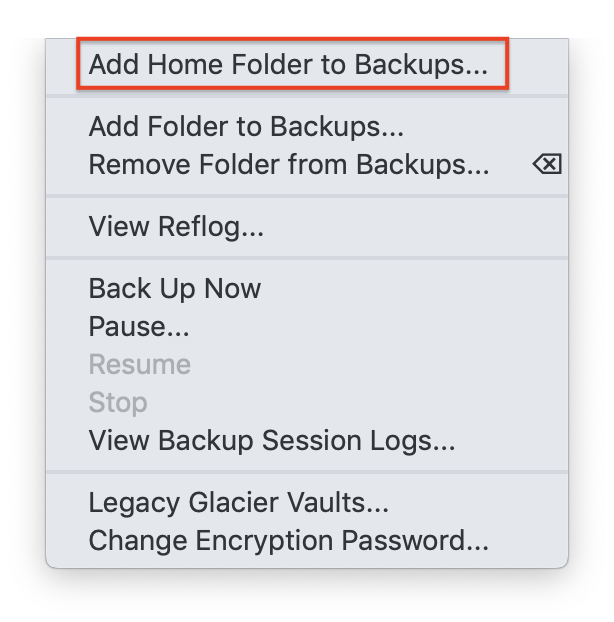 To add different folders to Arq for backup, click "Backups" in Arq's menu and then click "Add Folder to Backups...". Or, just drag and drop the folder (or file) from the Finder onto the Arq main window. 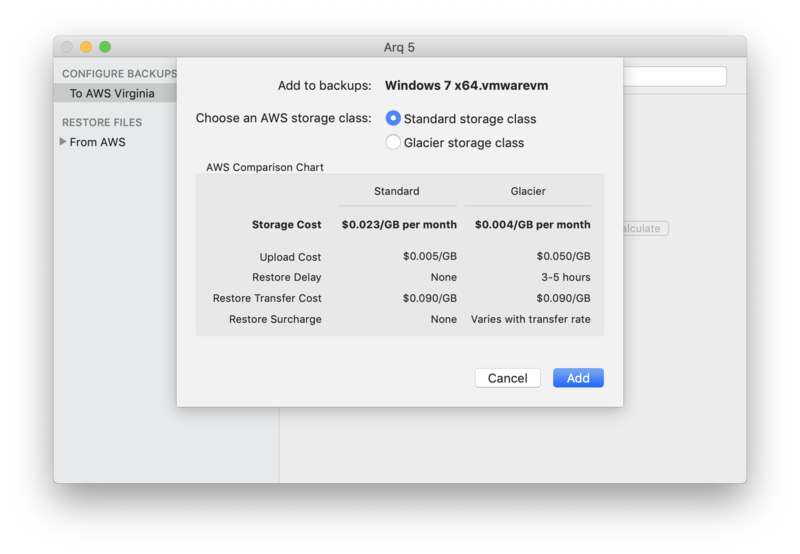 If you're using Amazon Web Services for your destination, Arq will ask whether you want to back up the folder using "Standard storage class" or "Glacier storage class". We don't recommend telling Arq to back up your entire hard drive. Most people save their files within their home folders, either in the home folder directly, or in the Documents folder on the Desktop, both of which live within the home folder. Applications save their data within the "Library" folder (hidden by OS X) which also lives in the home folder. So, backing up your home folder should include all the data you care about. Arq will back up whatever folders are listed on the left in the main window. Whenever files change in those folders, those changes will be backed up as well.